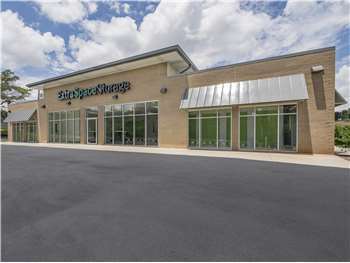 Located on Woodruff Rd between Hwy 276 and I-385, Extra Space Storage serves residents of Greenville. Locals will recognize our facility a few minutes west of Magnolia Park shopping center near the Tapestry at Hollingsworth Park apartment complex. Are you a college student in Greenville who needs summer storage or storage while studying abroad? Extra Space Storage is about 5.1 miles from Bob Jones University, so we're a convenient option! Our Woodruff Rd location is about 2.8 miles from the Greenville Downtown Airport. If you need a secure storage unit close to the airport, Extra Space Storage is the partner you can count on! 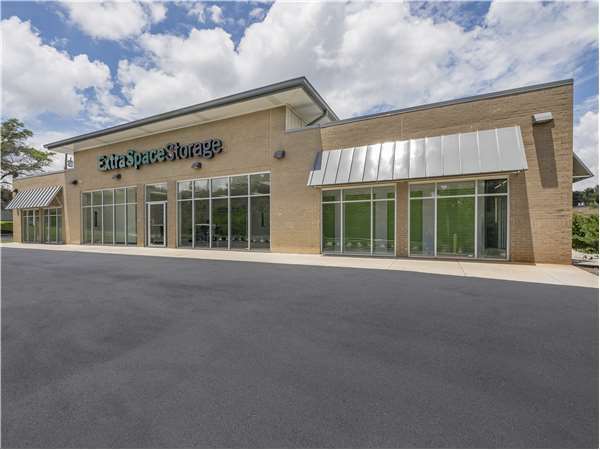 Extra Space Storage on Woodruff Rd offers a large selection of storage units, climate-controlled storage, vehicle storage, and more! We're your go-to storage solution in Greenville! Our Greenville storage facility offers unit sizes from 5x5 to 12x50, making it easy to store items large and small. We also have units with features like indoor access, first-floor access, and drive-up access. With security measures like an on-site manager, 24-hour video surveillance, and electronic gate access at our facility, you can rest assured your valuable items are safe at Extra Space Storage! Worried about storing temperature-sensitive items? Extra Space Storage offers climate-controlled storage units that stay between 55 and 80° year round, protecting your belongings from Greenville's extreme heat and humidity. Climate-controlled units are available in sizes 5x5 to 15x20. Looking for secure vehicle storage in Greenville? Extra Space Storage offers 12x50 covered outdoor parking spaces and 10x10 to 12x50 enclosed drive-up units that can handle small motorcycles and cars, as well as large trailers, campers, motorhomes, and boats. Why choose Extra Space Storage? We're dedicated to providing dependable self storage with exceptional service. From our clean, secure facility to our friendly, professional staff, we go above and beyond to ensure you have a positive, memorable experience. Contact us today to reserve a storage unit in Greenville! You'll love the cleanliness, amazing staff managers that tend to your personal items and ease of access to your belongings. GREAT PLACE, GREAT SPACE offering EXTRA SPACE! This location offers great customer service! Really clean place. The manager Ben and his staff were great! They really helped me with my storage needs. I recommend anyone looking for storage unit to check out the Woodruff Road, Greenville SC location. THE MANAGER AT MY LOCATION WAS VERY FAST, EFFICENT, CALMING AND JUST A GOOD GUY. I WOULD RECOMMEND EXTRA SPACE TO FAMILY AND FRIENDS. MY UNIT WAS CLEAN INSIDE AND HE HELPED ME MAKE A DECISION ON THE SIZE I WOULD NEED TO SAVE ME MONEY. Ben was very helpful in setting up my storage unit. The facility is very clean and convenient. I may change review after move in. Customer service was excellent and quick. Property is clean and secured. We rented our first unit a year ago and have been so pleased that we recently added an additional storage unit. Ben, the coordinator at the Woodruff location is professional, personable, and accommodating. The Woodruff location is easy to access, it's well-lighted, clean, and has excellent security. I highly recommend them. Moving to Greenville and this was my first experience renting a storage unit. I looked at other places but your facility was the best I had seen; clean, spacious, convenient, and well priced. Ben was very helpful, friendly and made the entire process easy and efficient. Each time I've been there the staff has been a pleasure to work with. Highly recommend this facility and their staff. I would highly recommend this storage facility. The facility is super clean, convenient, and the personnel have been very accommodating. Also, the price point is very fair and reasonable for what you get. Love the facility. I did it get the first month free as advertised on the billboard after I signed contract. Staff at location were so pleasant and helpful and the location is cleanest I've ever seen. Highly recommend based on staff alone though. Very well organized, exceptionally clean, friendly people and great location. Obtained this storage facility for business storage purposes at the beginning of the year and after only 5 months our rates went up. We thought our rate was locked in for at least one year. We are the type of business that will be using a storage facility for many years. Very concerned that as a business we may have to be increasing our cost every few months here for storage. storage.nytime. Great customer service! Lisa is the most kind and honest person ever. She is very clear in explaining rates and storage options. I recommend this place for anyone looking for a secure facility with an exceptional customer service. The staff were really nice and they made sure everything was okay before I left my building. Honest and caring staff .. Very spacious facility with wide variety of storage units to choose from. Most of all very clean units . Couldn't ask for a better place to store my belongings . Leah and Brad were very helpful in helping me find the right size unit for my needs. They were very helpful in getting a direct payment set up with my home office. When I left I felt like they honestly appreciated my business. I would highly recommend doing business with them. The employee that helped us was very knowledgeable and friendly. The facility is well maintained and the price was right! Sparkling clean facility. Spectacular personnel. Great pricing, great location, great hours. Quick and easy to rent. What more could you ask for? One of the best storage places I have ever rented from!!! This was an easy procedure and the rates are right in line with other storage facilities. The assistant store manager answered all of my questions and was a big help. It was a pleasure dealing with her and it went well. Very helpful and freindly employees. Great deals and promotions. Free move in truck. No between the lines b.s. very satisfied! Clean. And helped my family out knowing we had some financial difficulties at the time and worked withus. I have dealt with multiple storage facilities over the years and this one is almost to good to be true! The unit was clean and bug free, staff was helpful, and the unit is super secure. Each unit has about a 2 inch lip with a tight gasket door that ensures water can't ***** the unit which has been a huge problem with other storage firms. The staff was great when dealing with myself and husband. We are from out of town and had an extremely tight schedule. They were fast and polite. This company has great prices, it is climate controlled, has a moving truck to use if need to, and has a very helpful staff. I would greatly recommend this company. We did our research and Extra Space Storage had the best price, best location, and a clean climate controlled unit. Very clean facility. Employees are very helpful. Move-in truck was a huge perk. Pricing is comparable to other, less desirable facilities. Very satisfied. Very clean facilities and extremely professional and helpful staff. The rates are quite reasonable as well. I would recommend them anytime. Between Rocky Slope Road and Mall Connector Road. From North Pleasantburg area take ramp left for I-385 S. At exit 37, take ramp right and follow signs for Roper Mtn Rd. Turn right onto Roper Mountain Rd. Turn right onto Woodruff Rd (Waffle House on the corner). Arrive at 549 Woodruff Rd, Greenville, SC 29607. The last intersection is Eugene S Walker Memorial Dr / Mall Connector Rd. If you reach Rocky Slope Rd, you've gone too far. Depart I-385 N toward Roper Mountain Rd. At exit 37, take ramp right and follow signs for Roper Mtn Rd. Turn left onto Roper Mountain Rd. Turn right onto Woodruff Rd (Waffle House on the corner). Arrive at 549 Woodruff Rd, Greenville, SC 29607. The last intersection is Eugene S Walker Memorial Dr / Mall Connector Rd. If you reach Rocky Slope Rd, you've gone too far. Depart I-85 N. At exit 48B, take ramp right for US-276 West toward Greenville. Turn right onto SC-146 / Woodruff Rd. Arrive at 561 Woodruff Rd, Greenville, SC 29607. The last intersection is Rocky Slope Rd. If you reach Eugene S Walker Memorial Dr / Mall Connector Rd, you've gone too far.